This easy sangría recipe is like a sweet sip of summer. Made with rosé wine, triple sec and pink-lemonade concentrate, our sweet and simple recipe makes a pitcher of almost-too-pretty-to-pour Rosé Sangría, perfect for sipping and sharing with a dozen of your closest friends. 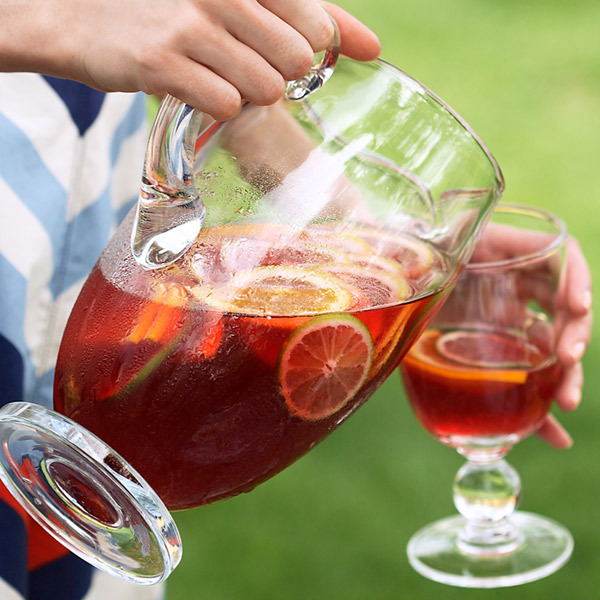 Serve this refreshing homemade sangría with citrus slices for a party-perfect presentation. Combine the wine, triple sec and lemonade concentrate in a pitcher. Chill well. Garnish with the citrus before serving. Tip: Use the leftover lemonade to make spritzers for the kids.